Rafael Nadal had famously dethroned Roger Federer in arguably Wimbledon's greatest final in 2008 and won the title again two years later. Ten years on from his first Wimbledon title, Rafael Nadal will launch his bid for a third triumph at the All England Club on Tuesday when the world number one faces Israel's Dudi Sela. Nadal famously dethroned Roger Federer in arguably Wimbledon's greatest final in 2008 and took the title again two years later. 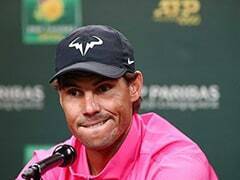 But since then Wimbledon has been a house of horrors for Nadal, with the Spaniard suffering a series of shock defeats against players ranked outside the top 100. With two French Open titles to his name by the summer of 2006, Nadal was already emerging as a potential superstar. The 20-year-old underlined his class with a run to his first Wimbledon final, but he wasn't quite ready to take down defending champion Federer, who won 6-0, 7-6, 6-7, 6-3 to avenge his defeat to Nadal in Paris just weeks earlier. It was only Nadal's 12th match at Wimbledon. Back in the final 12 months later, Nadal was getting closer as he pushed Federer to the brink before losing 7-6, 4-6, 7-6, 2-6, 6-2 in an epic clash lasting three hours and 45 minutes. It was the Swiss star's fifth successive Wimbledon crown and 54th consecutive victory on grass. But Nadal made him sweat for it more than anyone had previously at Wimbledon, setting the stage for the all-time classic to come. After two years of frustration at Federer's hands, Nadal finally got the better of his rival in a 6-4, 6-4, 6-7, 6-7, 9-7 victory that ranks as the most compelling Wimbledon final of all time. Nadal became the first man since Bjorn Borg in 1980 to win both Wimbledon and the French Open in the same year. Mere statistics don't do justice to an extraordinary, rain-interrupted match that stretched over four hours and 48 minutes. The win served as a defining moment for Nadal as the Spaniard collected his first major title away from Paris. Having missed Wimbledon in 2009 due to injury, Nadal was back with a vengeance a year later. A ruthless 6-3, 7-5, 6-4 demolition of out-classed Czech Tomas Berdych in the final gave Nadal his eighth Grand Slam title. 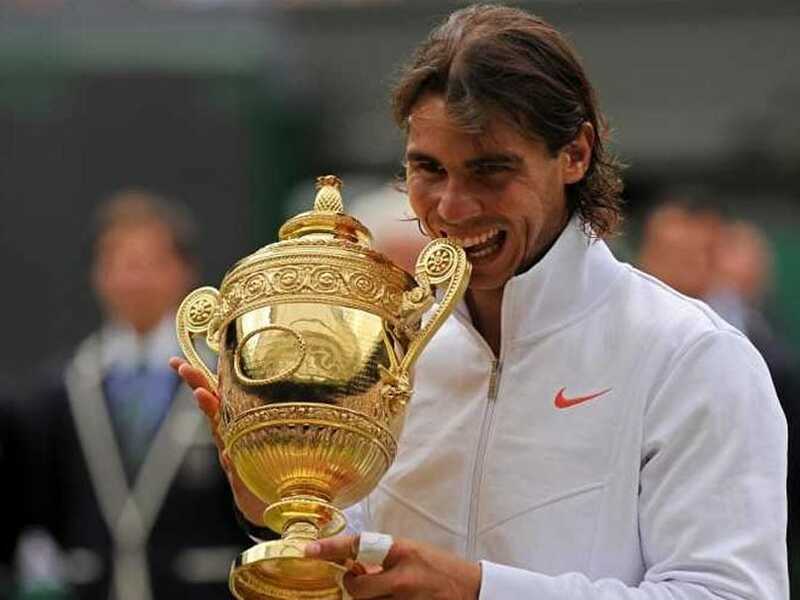 Nadal banked Wimbledon's first £1 million winner's cheque as he secured the second of three successive major titles in 2010. After a 2011 final defeat against Novak Djokovic, Nadal's run of five consecutive Wimbledon title match appearances came to a bitter end in a shock second-round defeat by world number 100 Lukas Rosol. Rosol was making his Wimbledon debut, but the Czech wasn't overawed in a 6-7, 6-4, 6-4, 2-6, 6-4 stunner. It was the first time Nadal had lost before the third round of a Grand Slam since he was beaten by Gilles Muller in the second round at Wimbledon in 2005. 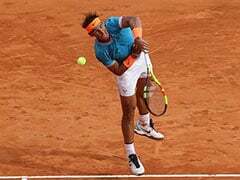 Hampered by a recurring knee injury, Nadal endured another humiliating exit in 2013 as Belgian world number 135 Steve Darcis won 7-6, 7-6, 6-4 in the first round. 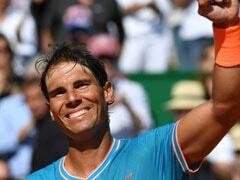 Just two weeks before, Nadal had celebrated his record eighth French Open title -- his 12th major triumph. But across the English Channel, it was a different story as Nadal lost in the opening round of a Grand Slam for the first time. A year after losing to brash Australian Nick Kyrgios, Nadal was condemned to an unexpected exit yet again in 2015. This time it was dread-locked German qualifier Dustin Brown who embarrassed the 14-time Grand Slam champion on Centre Court. 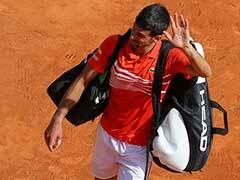 The world number 102 won 7-5, 3-6, 6-4, 6-4 to reach the third round. With his aching knees still a big issue, Nadal would fail to win a Grand Slam in a calender year for the first time since 2004.